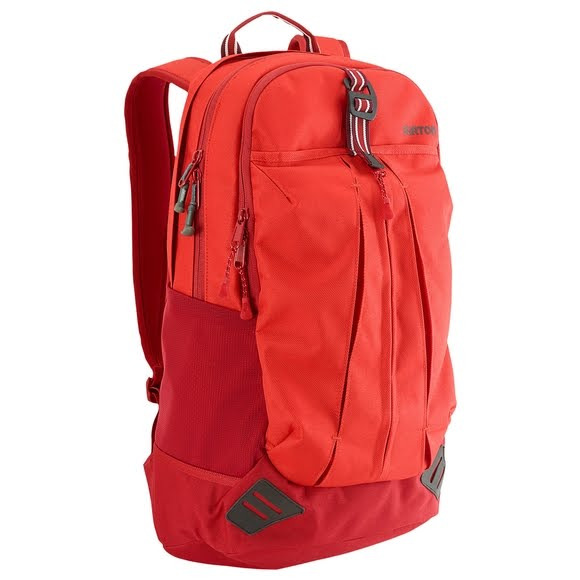 You can't take it with you when you go, is one old adage the Burton Markee Pack lets you comfortably ignore. Offering plentiful organization in a trim and streamline package, it keeps you bouncing from school, to work to weekend getaway without skipping a beat. You can&apos;t take it with you when you go, is one old adage the Burton Markee Pack lets you comfortably ignore. Offering plentiful organization in a trim and streamline package, it keeps you bouncing from school, to work to weekend getaway without skipping a beat. Easily store your goods on the run through a quick access top and a drop-in front pocket, and securely stash your laptop in the padded compartment. Ergonomic shoulder straps and a sweat-evaporating Airflow back panel mean this low-profile design is both easy on the eyes, and your body, too. Measurements 20.5 in. x 12.5 in. x 6 in.